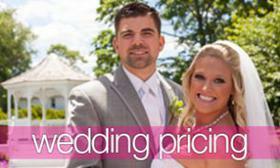 Thinking of having place cards for your wedding day? 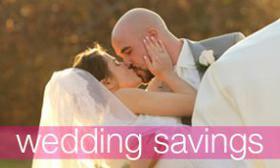 Well, you are in luck because we have found some creative alternatives to the traditional white folded place card. These awesome ideas will certainly impress your guests, plus they are a great take away from your wedding day! 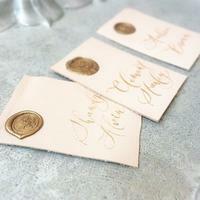 If you like the idea of the traditional white place card, you can elevate it to fit a more formal event, by adding beautiful calligraphy, then stamped with a gold seal. Another fun idea is to add a personalized tag on a napkin with each guests names on it. It's a great way to finish off a formal look. 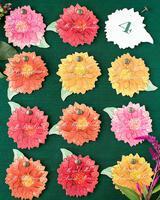 If florals are your thing, paper flowers with attendees’ names on them is perfect for a flower-filled event! Last but not least on our list is for the music lover. Hand paint wooden instruments with your wedding colors, arrange in alphabetical order! 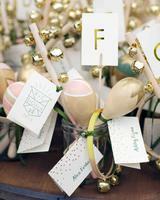 Super fun and creative and your guests will have a fun trinket to take home with them to remember your speical day! 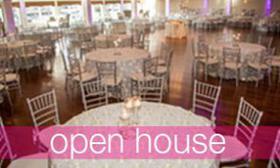 Don’t forget to contact the Canoe Club Ballroom for a Tour & Bridal Appointment!